Thumbs up with the shipping process. The unit is well-wrapped, worked and was delivered on time. It’s a multifunctional camera that you can use in anything you do. It has a durable waterproof case that protects the camera and it comes with different mounts that you can use to mount it anyway you want and on anything. I mount mine on my bicycle and sometimes I mount it on my helmet when I do trekking with my kids or go kayaking with friends. 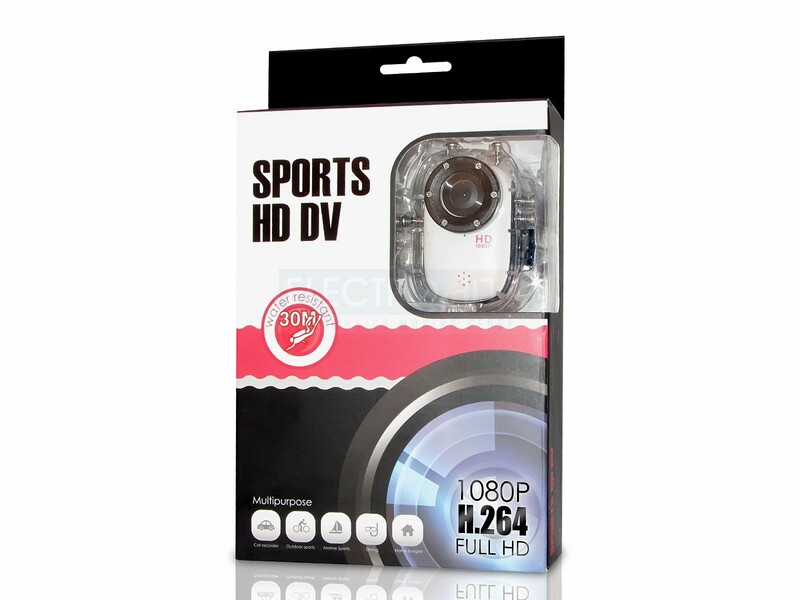 It records 100% HD video, the recordings and photos taken are vivid and clear. We went to a beach for a vacation and I just bought this camera. Brought it with me and use it to record every sports we did try from snorkeling, jet ski, banana boat, kayak and just about any sport. It worked without problem and is very durable. It does not easily get loose from the strap or mounts with constant movements. It's easy to mount and the plastic waterproof case is easy to fit to the camera. The waterproof case does not prevent the camera from taking good quality HD video at all even when you go diving. It's perfect. The camera is can be used in different ways. You can either mount it to your kayak or jetski, or strapped it on your head or arm, or just mount it to your helmet. These are what I have been doing with my HandiCamHD camera. I often bring it with me when I go diving, snorkelling, skydiving, mountain climbing, jetski or just about any sports I do. It sits perfectly when mounted and it comes with different mounting gear. It's does record good video even if used underwater with its waterproof case. It definitely is the best sports camera I wanted. We went on a vacation in Cancun, Mexico and I had this camera in my luggage. I actually just bought to try it. We went scuba diving and snorkeling with friends and I had this camera on my forehead to record those amazing experience. The camera is easy to setup and it does not require a lot of configuration for it to work. It's totally waterproof as I have used it several times for diving and it still works without any problem. The video quality is really great. Its clear HD video recording. This is a great camera and it comes with good accessories. You can mount it anywhere without any problem. I have tried mounting to my motorcycle and even to my car. I used it as a road and traffic security camera just in case I get into an accident while on the road. I also used it when I go diving or skiing. It comes with a flexible starp that you can use to strap it around your head or helmet. It also comes with the mounting accessories to mount to your ski board. It's great. I was looking for a cheap camera that I can mount on my bicycle so I could record videos every time I go biking with my son. I received this camera as my son's gift and I'm surprised how easy it can be mounted on the bicycle, it comes with other accessories you can use to mount it to your helmet or bike. It also record very clear HD videos when we tried it out, even though it's under its waterproof case it still records good video. works great, i use this alot for surfing and it performs as advertised. Works out of the box. Happy buyer here.